First of all…living in the city of Eugene, there are people like “Ned’s Parents” everywhere. I mean everywhere. As in next door to me. Meet Chris and Elaine. They are the consummate Eugeneans. 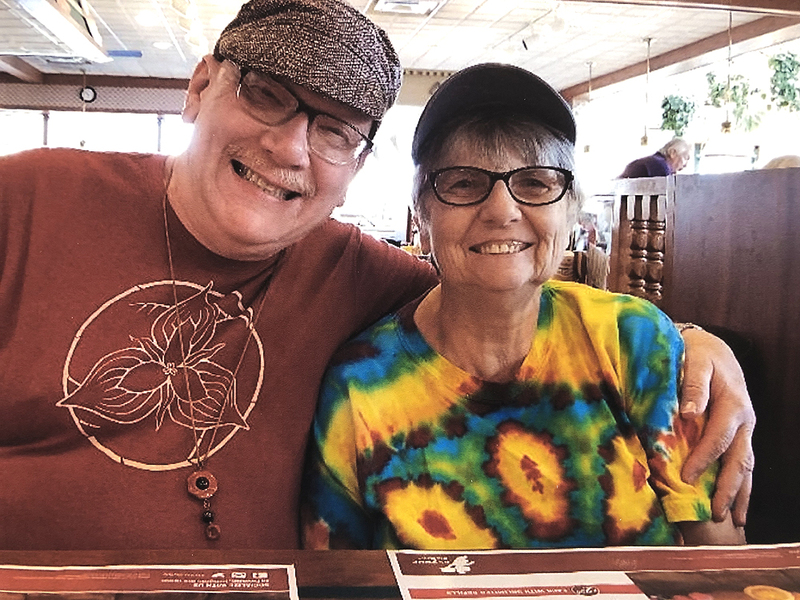 They dress the part (tie-dye every day). They live the part (they bought one of the first experimental electric cars when they were still lucky to get 30 miles on a charge) And, they go to Burning Man (although Elaine can’t dance anymore with her bad hip). They go to Eugene Saturday Market almost every week (they go for Rita’s Burritos, and stay for the music). 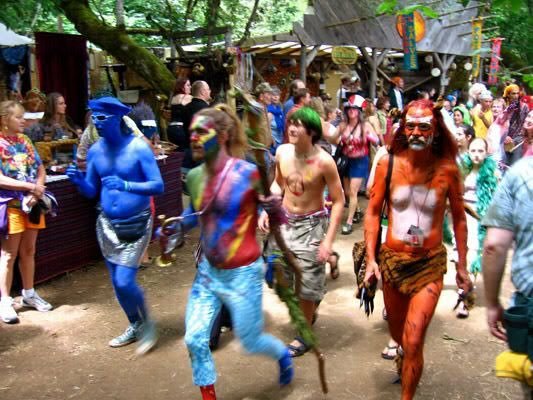 And they haven’t missed an Oregon Country Fair since its inception in 1969. They honor diversity (they are the first Christmas Card we get every year), are waaaaaay into family and friends, and are simply two of the nicest people we have ever met. But…as much as they love music, they aren’t true “Twirly Dancers.” I’ve seen them move and groove. 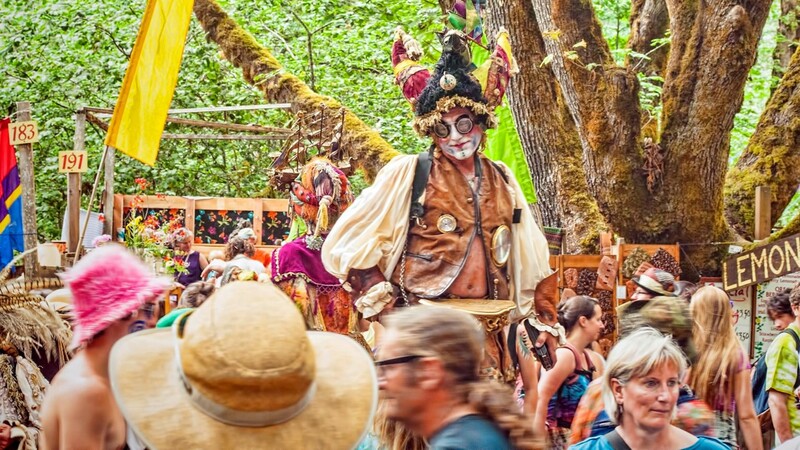 They are more the shoulder shrug, head bobbin’ kind of dancer that preserves energy for a long day at the Country Fair. Playing in a band in Eugene for the better part of the 90s, we got to know every serious “twirly dancer” in the area. They show up to every show (some are legends, with decades of twirling on their resumes). They go right up to the stage…and no matter how loud the music is, no matter what style you are playing…they go into their “thing.” Every twirly dancer has a “thing”…a kind of signature move. Some get lost in twirling like they are getting sucked down a drain pipe and are grasping at the water for traction. Others. move as if they stepped on a 220 volt live cable. Still others are more of the “Nedward” variety…spinning and pirouetting with modern dance moves that would make Alvin Ailey proud. So…when I saw Nedward and Capri “doing their thing”…like I said…I busted out laughing. So Eugene. So “new wave Hippie.” And, so totally retro! But Capri’s “portable vinyl player” just cracked me up! And it reminded me why this new “hipster movement” toward bringing back records just makes me laugh…and laugh…and laugh. I get it. 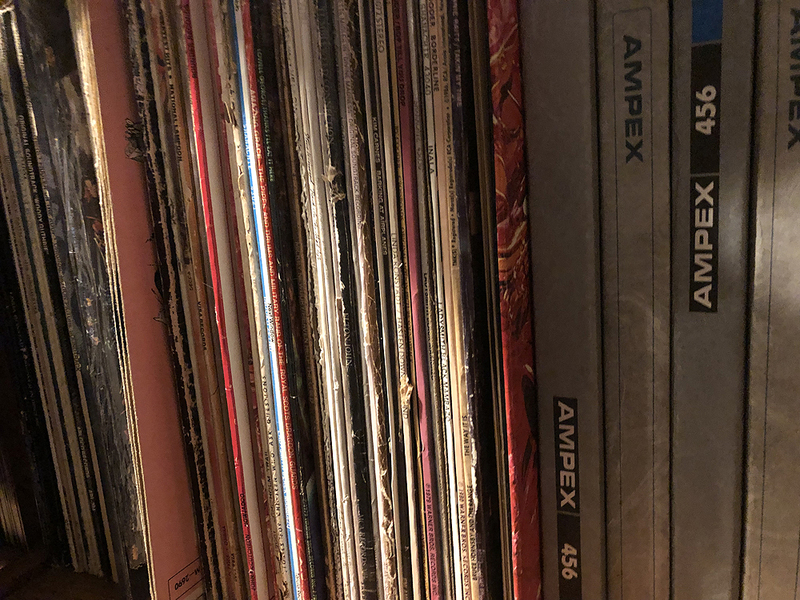 Real “audiophile” types argue that vinyl, and analog have a certain familiar warmth that you can’t get with digital music. And, there is a certain sense of physics to it all. Analog recordings capture sound in waves…which are converted to vibrations…and converted and captured on various analog formats, in waves. For most of the 20th century, this format was oxidized audio tape, running at high speeds. The higher the speed, the greater the recording quality, with less wow and flutter. My original studio was a combination of analog multi-track machines, filters, etc. with some of the earliest digital mastering gear of the time. Because the sign wave of analog recording is round (and thus warmer and more natural to the ear), early digital recordings sounded brittle and harsh. Digital recording literally captures bits…squares if you will…that are not as warm (and stored in square wave forms). 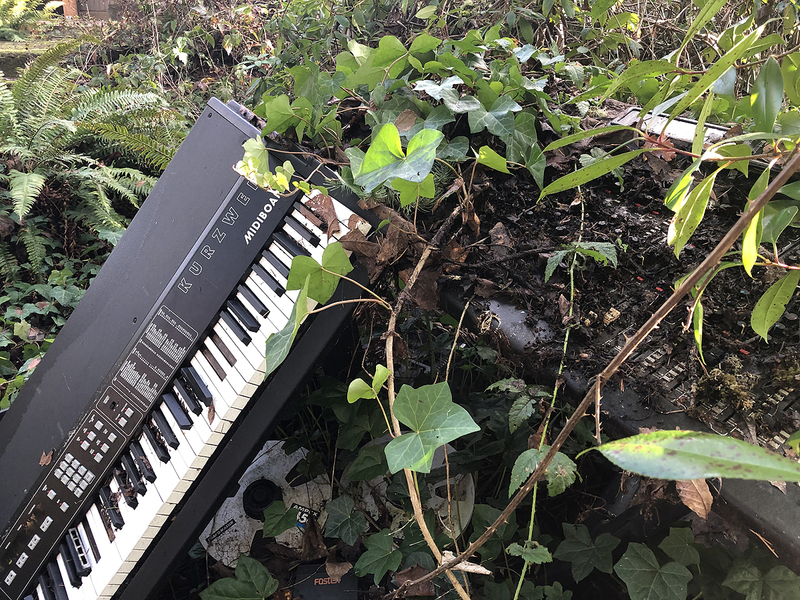 But, because they aren’t hampered by the hiss of tape, or the degradation that happens with each play, they represent an exact, for the most part, loss-less copy, that can be shared and played with no degradation. These days, the best audio studios are still using loads of analog pre-amps to “keep it warm,” while have the luxury of being able to produce lows that can untie your shoes…instead of hopping out of the grooves…as a needle will do if there is too much low end in a master recording. Sound. It’s kinda magic. What sounds better? It’s in the ear of the beholder. But, there is no question that today’s super-compressed MP3s have far less frequency range than that of vinyl, and especially a CD. Neil Young’s super high-end digital format, “Pono” may actually be producing sounds so wide in the spectrum, that most people can’t even hear some of what is captured. I still have most of my hearing…even after playing in bands, and being in the studio for most of my adult life. But, I am going to guess that those kids you see and hear, blowing out their car windows with the bass tracks of most hip hop songs…amplified by a gazillion watts and subwoofers…probably won’t hear much at all by my age. Here’s a great article that explains a lot of the differences between formats. But the fact is, tens of thousands of dollars of “antique” gear becomes silly at some point. And for me, that point was about 15 years ago…when I got tired of repairing my 48 track console…and 16 track analog tape machine…and replaced it all with high-end digital recording gear that runs on a lap-top…out-performs my entire old studio…and costs less than one of my vintage microphones. 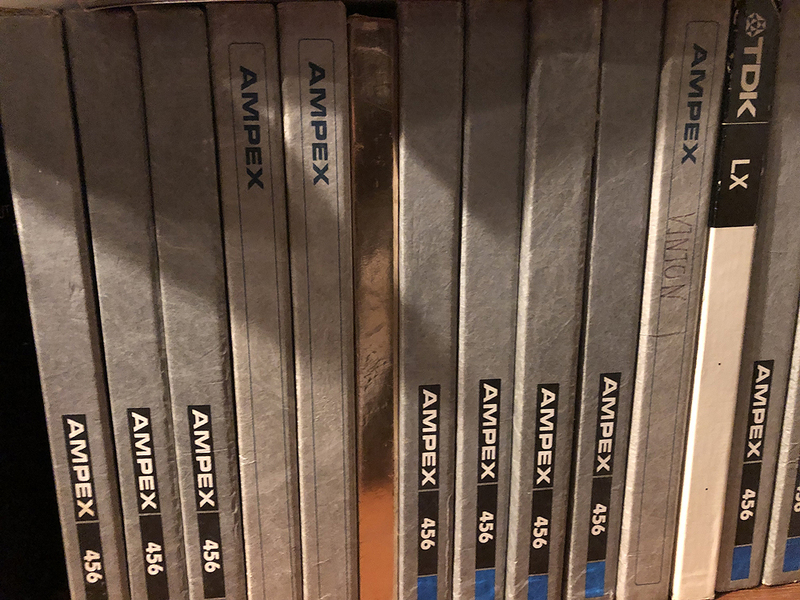 The tapes…the vinyl…40 years of my life…are all in storage…collecting dust. And the console and the 16 Track? They are part of a permanent “art installation” in my garden. Covered with vines. Reminding me that time passes…and technology changes. I still have a turntable…and a couple of vintage tube stereo amplifiers. 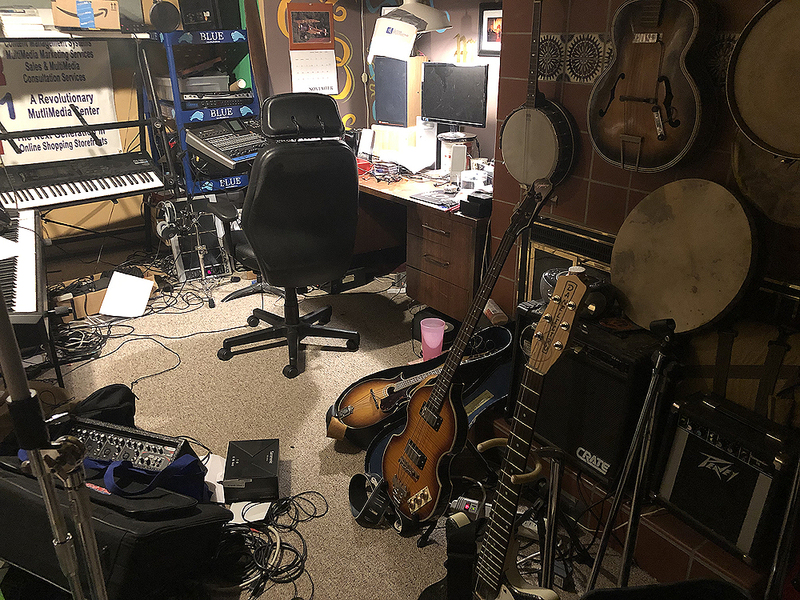 But, like most of the rest of the world…I mostly play Apple Music through my phone/ipad/computer…boosted with amps and EQ racks, and pre-amps to try and get back something close to the sound of the original recording. It’s easier. Way easier. And with an Apple Music subscription…I can download hundreds of albums…for $10 a month. I have evolved…while the music has devolved. (Don’t get me started on auto-tune and looped drum tracks). Save your money. Going back and buying all of the records you have on CD or MP3 so you can play it on vintage equipment? Nah. Scratches…pops…and hiss. They weren’t there on the original recording. Trust me on that. But, that is not to say that I don’t like old things. I do. In fact I love my wife! (I’ll wait for the groan…). No…seriously. I have loads of old instruments. I have a working gramophone (wind-up record player from the 1920s), and more equipment than I could possibly use in the rest of my lifetime. 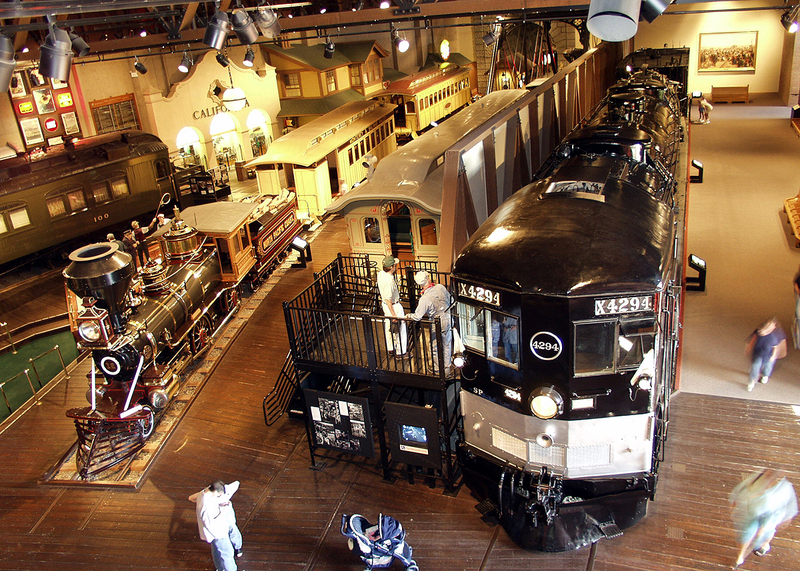 I am also a fan of old transportation….most especially, trains. 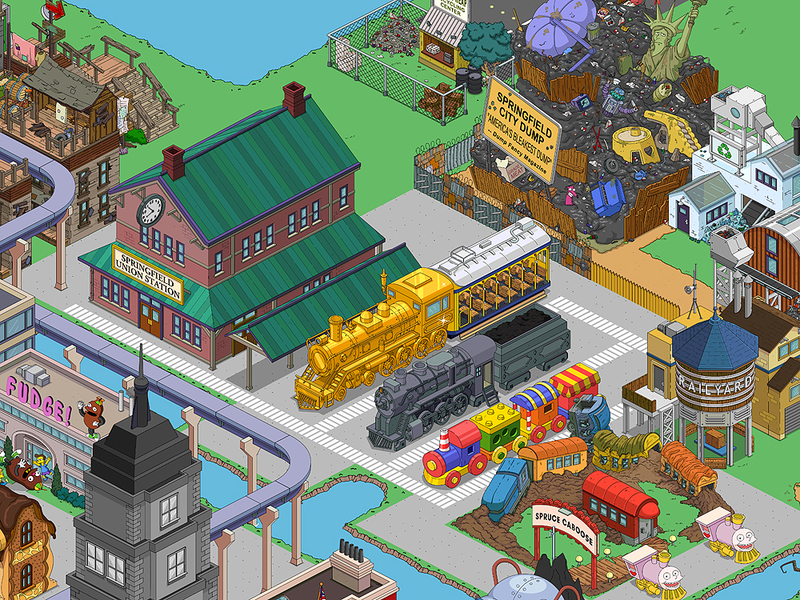 So, was I thrilled to death to get Springfield Union Station? You bet I was!! Was I bummed that there was no track with it? You bet I was!! But, only for a few minutes. Instead…I redesigned my transportation section, to include the station as a centerpiece to my homage to the greatest train museum in the world… The California State Railroad Museum in Sacramento! 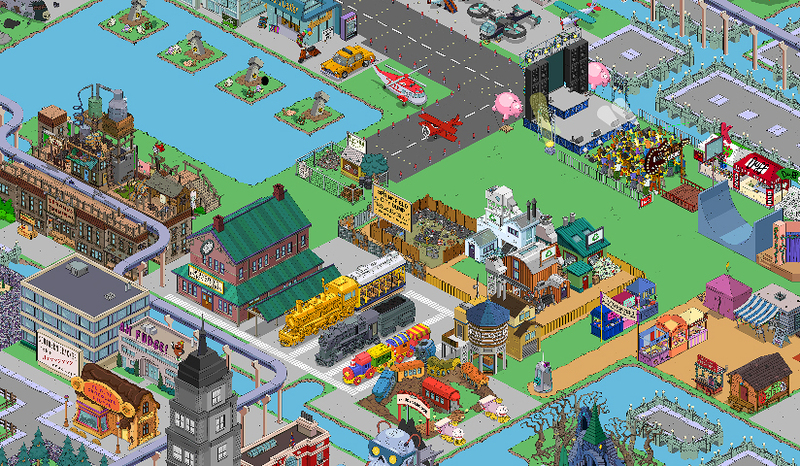 My Train Museum…Near my “Woodstock ’99 homage….near the airport. And finally, I moved my “Burning Man” out of my Castle Area…to where it belongs… in a “Post-Modern” dystopian location that looks more like Burning Man, than Burning Man. (I haven’t been. Too much dust. Not enough sunscreen. Too many naked hipsters). 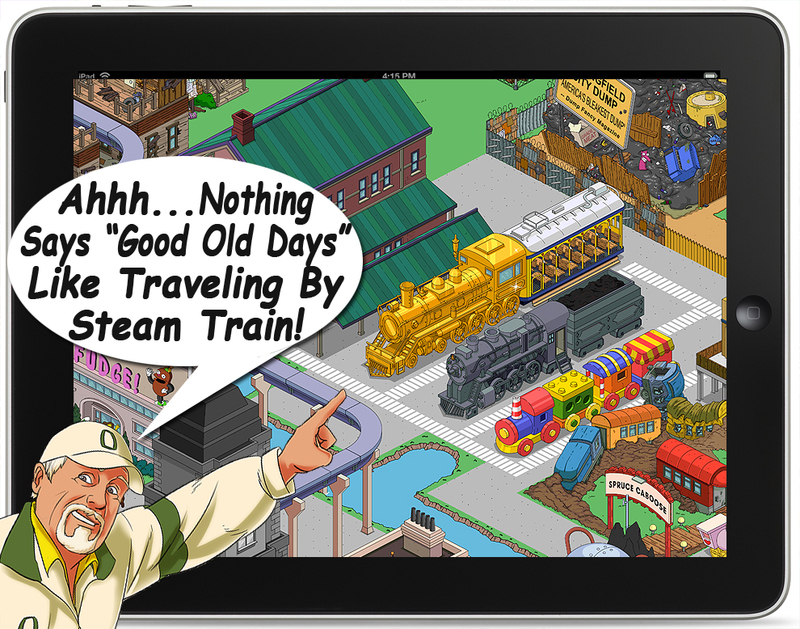 I guess what I am getting at…is that not everything from the “good old days” was all that great. I liked records, but they scratched easily, and wore out with time. I love digital recording, and the ability to edit freely. The closest thing we had to editing “back in the day” was cutting tape with a razor blade, or syncing up two machines, and trying to dump a part onto a track…manually. Yes, there was a thrill when you got it right. But, with tape that cost between $100 and $150 a reel (in 1980s dollars)…and could only capture around 30 minutes of playing time at 30ips…it was expensive, and hard work. So, let’s keep things in perspective. The “Old Way” isn’t always the best way. Do I still love traveling by train? You betcha…especially when compared to being wedged into economy seating. But having days, instead of hours to get someplace is a luxury of time. And time is the most valuable commodity of all. Most things in the “good old days” took more time. And maybe THAT is the real improvement. These days, everything is “faster,” but we often lose the experience in the translation. Do I want to go back to a B/W television with 3 channels, and using pliers to change the channels because the plastic knob broke off? No. But, I would like to hear music in the way it was performed and captured…and not compressed (like the food they serve on airlines). Life is compromise. Old stuff is fun. It’s cool. It’s a touchstone to the past. But, the past is just that…gone. So, try to find compromise in the way you live your life. Slow down. Take the time to enjoy what you have now. Soon enough, it will be obsolete! 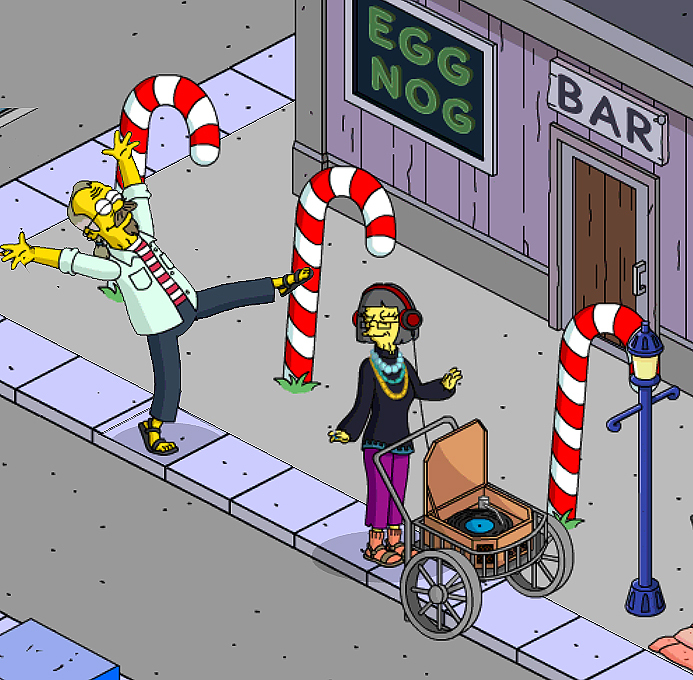 This entry was posted in Friday Filler, Tapped Out and tagged CrankyOldGuy, Nedward and Capri, Oregon Country Fair, Tapped Out Tips and Tricks, The Simpsons Tapped Out Tips and Tricks, TSTO, TSTO Addicts, TSTO Community, TSTO Patric, TSTO Tips & Tricks, TSTO Tips and Tricks. Bookmark the permalink. I still collect and purchase vinyl albums, only now it’s nice that modern turntables allow you to record and save them as a digital file (vs audio cassette) so that you can listen to the music in a car , or anywhere you go. I guess that’s a prime example of analog and digital working together …. you get prime audio recorded onto an analog format, but get to save that as a digital format (and yes we’ve come a long way since albums were released in mono (lol). I second that ! Thanks for your time Patric. Love steam trains. I get to ride one every year when engine 765 comes to town. Within 3 feet of me here I’ve got several forty-year-old film cameras, a thirty-year-old VHS recorder, a twenty-year-old LaserDisc player, and a slide rule! I’ve got lots of new tech too (Why do I need a -spare- terabyte SSD? ), and I’ve got some very new tech on order – I’ve just ordered a Jaguar XE with 300hp and almost all the toys as a retirement present. So I’ve just spent a couple of weeks ripping my CD collection to FLACs, to replace the MP3s that are all my current car audio will play. You and I would get along fine! My problem, is letting go of the old stuff…like boxes and boxes of master tapes that I can no longer play. LOL! There are two of us in a 5-bedroom house, and I’m forever getting told I need to throw stuff out, but then I’d need it the following week, wouldn’t I? We had five different used TVs in my life. None of them made it more than a year with the plastic channel knobs intact. My parents didn’t get their first color tv…with a remote, until after I was in college. 1972. I think it is why I became a tech-head. A real longing to own the latest…being on the bleeding edge…overpaying to have it first. I always love these Friday posts (even reading them on Saturday!) They’re so uplifting to read since they’re always about interesting topics. Do you store your tapes tails-in? If you want some entertainment, Google “big boy 4014” sometime. UP hopes to have her running for the 150th anniversary of the golden spike; we haven’t had one in operation since around 1960 and we’re pretty excited about it. I’ve read about this…sooooo cool! Thank goodness Technics still makes quality direct drive tuntables, nothing like “reading the vinyl” and matching a beat the “old” way. Better needles last longer (upside!) but the vinyl still wears out the same (downside). I too have a Technics turntable… as well as a couple of broadcast versions. But, I have to admit, the pops and crackles make me nuts. In remembering the past, I turned my station into a tribute for the Pony Express. 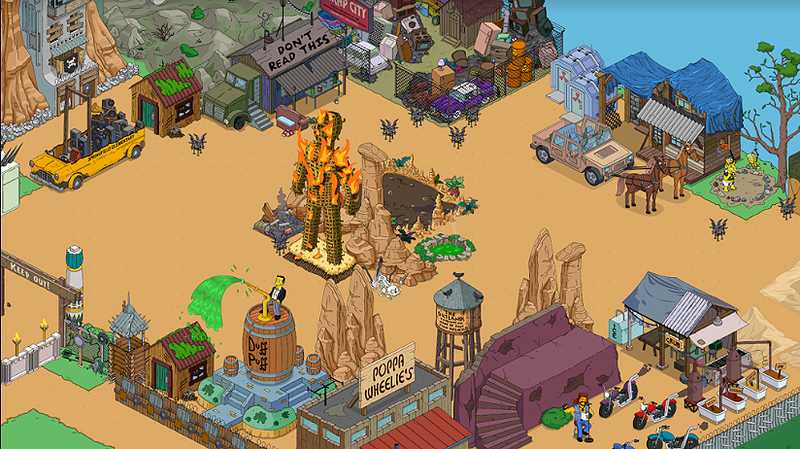 Besides, my old west section was the only area I had available to place such a large building!